MANILA -- The martial law declared by former President Ferdinand Marcos 46 years ago will not happen under the administration of President Rodrigo Duterte, Malacañang said on Friday. Presidential Spokesperson Harry Roque made this assurance as the country commemorated Proclamation No. 1081 issued by former President Ferdinand Marcos that put the entire country under some 24 years of military rule. “Malabo talagang maulit po ang Martial Law ni Marcos dahil talagang ang 1987 Constitution po ay sinasabi, unang-una, hindi mo pu-puwedeng isarado ang Kongress at mga hukuman maski na ikaw ay may martial law (Martial Law of Marcos will not really happen because the 1987 Constitution provides that, first, you cannot close Congress and courts even under martial law),” Roque said in radio interviews. Roque said Congress and the courts have also the power to invalidate the declaration of martial law if it has no actual basis. Though Mindanao has been put martial law, Roque said there is no reason to declare it in Luzon and Visayas. Duterte placed Mindanao under martial law in May last year after ISIS-inspired Maute terrorist group seized Marawi City. Despite liberation of Marawi five months later, Duterte has extended martial law up to December this year due to danger that uprising could spread in other areas of Mindanao. 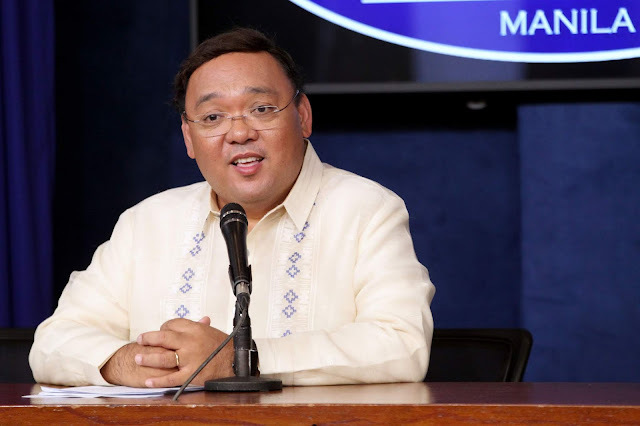 Roque assured martial law Mindanao is not like the military rule used by the Marcos regime. He said Duterte will continue to respect democracy which the Filipino nation started to enjoy after the bloodless 1986 People Power revolution that toppled Marcos government. Roque said Duterte is a product of democracy and has an overwhelming mandate to lead the country.